I’m a Latina mamá focusing on raising a bilingual child in Spanish. However, when author Judy Martialay of Bonjour! Let’s Learn French reached out to me to ask if I’d be interested in reviewing her new book the possibility of learning French peaked my interest! As a firm believer that it’s never too late to learn a new language, I jumped into reviewing her book and found some other resources along the way. Let’s begin with Bonjour! Let’s Learn French is geared towards kids ages 6-10 years old, and it is to be used in conjunction with the audio available on the website. The audio begins with a fun French musical intro and the author’s welcome with instructions on how to best use the book. 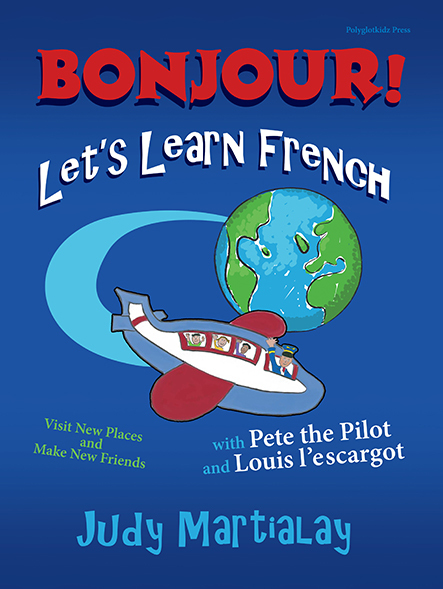 This one-of-a-kind picture book invites the reader to board Pete the Pilot’s magic plane where the kids will take a trip to France. They will meet a new friend Louis, and there’s also a skit that your child can use to practice with family and friends. Language and culture go hand-in-hand and Judy has done a superb job by including the culture corner in the book. My favorite section of this book is the list of words! Conveniently and readily available you’ll find a section to practice vocabulary words from the book. Bonjour! Let’s Learn French! Is indeed a great introduction to the French language. Both my son and I enjoyed learning new words, now if only we can actually hop on Pete’s magic plane? Below you’ll find a list of resources to get you and your loved ones ready to learn French. 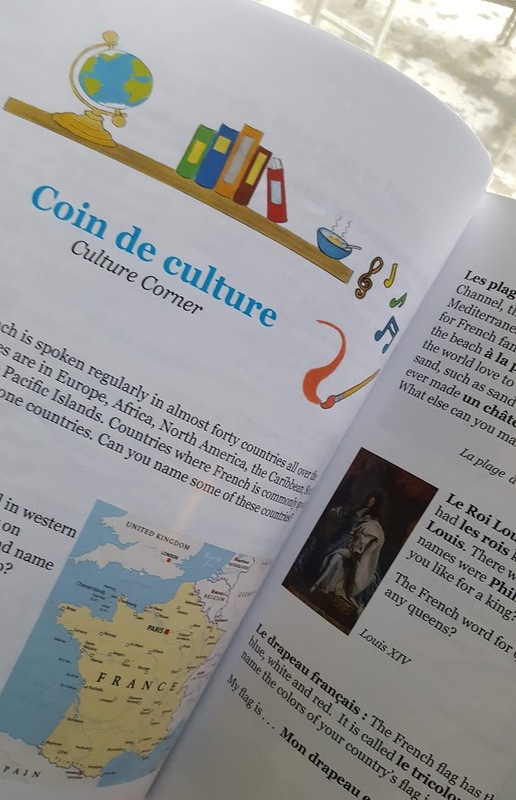 Open Wide the World and Mundo de Pepita have some great resources on Teachers Pay Teachers for a reasonable cost you can get some good quality French material. You’ll be in Pinterest heaven with this Pinterest Board from The Piri Piri Lexicon. How about kids radio station in French? French music for kids Trilingual Children has a great post on kids radio stations. What kid doesn’t love cartoons? Kid World Citizen shares YouTube videos of French cartoon for kids. Another great activity is to learn a new language and its culture is cooking with kids. From Multicultural Kid Blogs you’ll find 5 French Recipes to Cook with Kids and 2 French Recipes for a Light Lunch. Last but not least, my friend Leanna from All Done Monkey has a great post on learning French as a family! For more information on Bonjour! 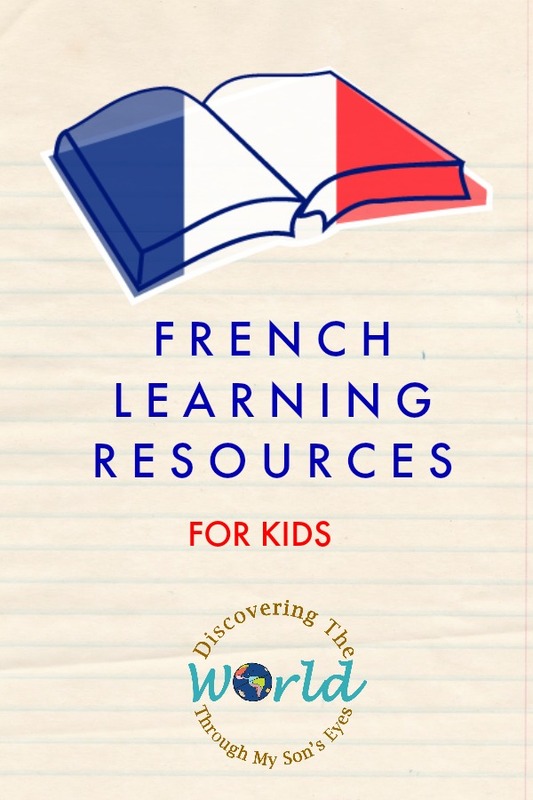 Let’s Learn French you can visit the author on her website, Facebook or Twitter. Love to see language learning books still being written and used. Tother with modern technologies such as language learning apps, kids nowadays have vast resources from which to learn and assimilate new languages. Previous Post: Happy 6 Year Blogiversary!